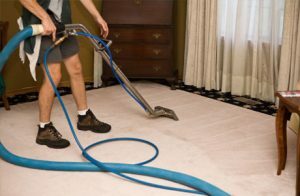 Choosing a Dallas carpet cleaning company can be a daunting task, but once you find the right one, you can enjoy the benefits of having a clean carpet. Smart homeowners in Dallas area have already selected Ultra Clean Floor Care. This is not a surprise because our team has many years of experience in this industry and we are always following the latest advancements and news related to our industry. You don’t have to hire us right away – you can first ask for a free quote. What is important to mention is that our job doesn’t end when we clean your carpet because we provide a warranty for our work depending on which package level chosen. If all areas are treated with scotchgard then we provide a 1 year spot and spill warranty. If you want to clean your home thoroughly. You should begin with the flooring because carpets usually have a lot of debris, dust, and dirt. At Ultra Clean Floor Care, we use the best cleaning process which cleans not only dirt, dust, and microorganisms, but we treat pet odors and stains too. If you really care about the look and condition of your carpets and house, you must understand that opting for Dallas carpet cleaning maintenance on a regular basis is a must. Keep in mind that every time you enter your home, you bring small particles and debris that can eventually affect your health and the health of your family. On top of that, people with allergies feel even more problems than others. Take care of your health by leaving this activity to true professionals like Ultra Clean Floor Care. Instead of spending hours on this daunting activity and getting mediocre results leave this task to us. When it comes to tile cleaning in Dallas. Ultra Clean Floor Care has you covered. When tile is first installed, it adds beauty to any home, but overtime tends to become dirty. Homeowners often find themselves trying to clean the grout lines. But, this can be somewhat a pain without the proper equipment. 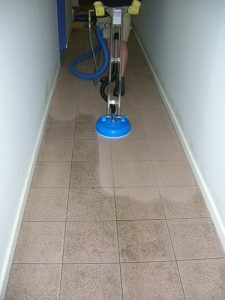 Ultra Clean Floor Care uses the latest techniques and top shelf solution to clean any tile, stone, saltino tile, and many more. Through years of training in and off the field, Ultra Clean Floor Care has become the Dallas tile cleaning specialist. No job is to tough. Once cleaned we can then add a sealer to seal the grout lines or stone. If the grout from the installers wasn’t mixed properly or your just tired of the color of the grout. Don’t worry Ultra Clean can change the color of your grout. Let us renew your grout today. Grout coloring, not only changesthe color, but adds protection against spots and spills. We can also remove the old grout and replace with new grout. As beautiful carpet may be when installed, accidents tend to happen. Such as burns, pets tearing seams, digging at the carpet making holes. Even accidental spills such as paint. Don’t worry Ultra Clean Floor Care has you covered. We can cut out the damaged carpet and replace with new carpet. Don’t have carpet? That’s okay, we can take from a closet. Once the carpet repair or seam repair is fixed, it will look as nothing ever happened. The professionals at Ultra Clean Floor Care will have your carpet looking good as new in no time. We are your Dallas carpet repair experts. Have Ripples in your carpet? No problem Ultra Clean Floor Care can stretch your carpet removing any ripple. Leaving your carpet with a good tight stretch lasting years to come. When new carpet is installed and is stretched properly. It should last any where from 7 to 10 years before needing to be re-stretched. When carpet is not stretched properly during installation, it will need to be re-stretched again in about 3 years. There is no doubt that hardwood floors are an excellent addition to any house or apartment. This costly investment is worth protecting. This is why you need Ultra Clean Floor Care. Our team will do everything in their power to clean and protect your wood floor affected by different problems including wax accumulation. Save your time and possibly your money by choosing real pros in this field. Thanks to Ultra Clean Floor Care, Dallas wood floor cleaning has never been easier. Call us right away! When it comes to cleaning your home, upholstery and drapery should not be neglected. The good news is that we are experts in this field too! If you want to get the best Dallas upholstery and drapery cleaning services, call Ultra Clean Floor Care.